A San Diego Mesa College professor critical of the state community colleges chancellor has been named to his 17-member Board of Governors. Kimberley “Kim” Perigo of San Diego was appointed to a six-year term by Gov. Gavin Newsom, his office announced Thursday. She’ll join a board that helps make policy for 115 colleges serving 2.1 million students — and hires the system chancellor. Shortly after the news, Alexei Koseff of the San Francisco Chronicle noted on Twitter that Perigo organized a Mesa faculty vote of no confidence against Chancellor Eloy Ortiz Oakley, CEO of the board, in April 2018 over funding disagreements. “This could get interesting,” Koseff said of the only San Diegan on the board. Perigo, 49, is a speech and debate expert who last fall won the prestigious Wyman/Howe Award for her service to the Pacific Southwest Collegiate Forensics Association. She has been a professor of communication studies at Mesa College since 2006 and a lecturer at San Diego State University from 2002 to 2005. 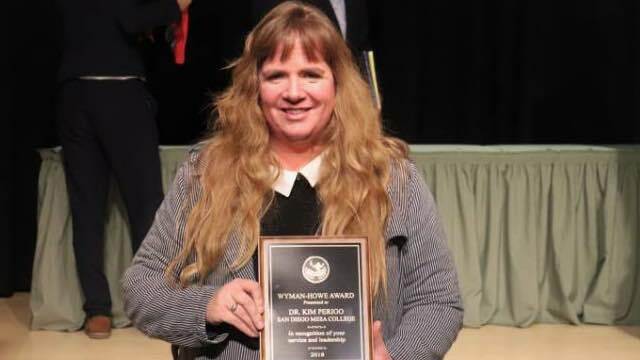 “The PSCFA recognized her dedication to not only the organization, but her outreach to other forensics programs; promotion of forensics to surrounding grade, middle, and high schools in San Diego; as well as reviving a forensics program here at Mesa that focuses on student development and excellence,” the school said. A member of the Faculty Association of California Community Colleges and the Academic Senate for California Community Colleges, Perigo is Academic Senate president at Mesa. Perigo, a Democrat, earned a doctor of education degree with an emphasis in community college leadership and a master of arts degree in communication from San Diego State University. Board members of the largest system of higher education in the nation do not require Senate confirmation, and the compensation is $100 per diem. The Board of Governors sets policy and provides guidance for the 73 districts that make up the system. The board is appointed by the governor and formally interacts with state and federal officials and other organizations.